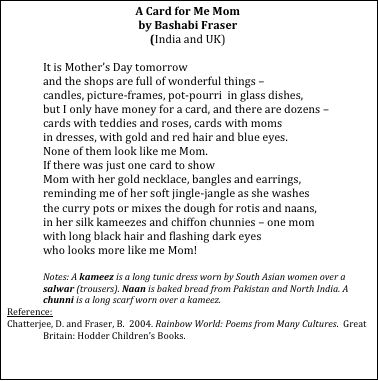 An Indian child with money just enough for a card wishes to celebrate Mother’s Day in the United Kingdom. But the child is assaulted with the harsh and heartless commercialization of Mother’s Day which marginalizes minority Moms. Why would a card company bother to make cards for minorities? That would be bad business. “What’s your name?” ask the new American schoolmates of the Korean girl. She gives her Korean name, of course, but the American children make fun of it. They reject her Korean identity because they cannot say her name correctly. The fourth little pig wants to build a house for himself, too, just like his three brothers. But his pig farm in the Philippines is way too overcrowded. So he leaves home in search of a piece of land where he could build his dream house. He supports himself by working as a migrant pig carpenter. What do the Indian child, the Korean girl, and the Filipino pig carpenter have in common? They are Asians and they put a face to the immigrant experience as outsiders in a host country. 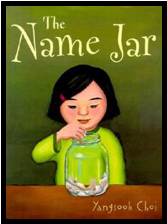 This article will attempt to elucidate the themes of marginalization, identity, and migrant labor in three Asian immigrant experience as portrayed in Bashabi Fraser’s poem, “A Card for Me Mom”; Yangsook Choi’s picture book, The Name Jar; and my own picture book, The Fourth Little Pig. Bashabi Fraser’s poem is vivid with its use of sensory images: “bangles and earrings,” “soft jingle-jangle,” “curry pots,” “long black hair.” When my students interpret this poem, most of them pay attention to the images and its technical brilliance as a 14-line poem with rhyme. They identify with the child’s poignant desire to buy a card for his/her Mom because a card is all that a child can afford. Most of all, they appreciate the child’s love for his/her Mom. However, it seems that nobody notices the mindless marginalization of the child by the host country. Nobody sees that the child’s mother is rendered invisible in the Western society and culture. Nobody observes that the child is made invisible, too. Nobody hears the poem as a silent scream by an Asian child. Because the Indian mother and child are both ‘invisible’ in their host country, they have no names. They don’t even have any history. The poem does not say why they are in the UK. In a frozen moment of unspeakable marginalization and impersonal cruelty by an uncaring mainstream society, nobody steps up to help the child in the gift shop. No sales clerk comes to offer advice. But of course, the child’s invisible. Externally, there appears to be no resolution to the conflict in the poem. Does the child buy a card? Does the child make one? However, the poem will forever be etched in memory – in the child’s heart, mind, and soul. And, I hope, in the readers’ social awareness. Most of all, I pray this poignant poem will help us become more sensitive to the needs of outsiders. That will be the most amazing resolution. I have an incredible friend in Taiwan. Her name is Lydie Wu. She went the extra mile for foreign teachers like me. I asked her why and she said, “As a student in America, I learned how difficult and painful it is to be an outsider.” Lydie turned her painful immigrant experience into an empathy for other immigrants. I used my name stamp only when it was required. I never associated the name in it with my identity. 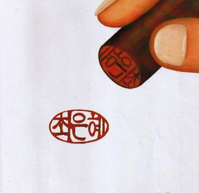 However, when the girl Unhei, together with her parents and brother, leaves her Korean home and starts attending an American school, it is her name stamp which helps her resolve her identity crisis. Illiterate in Mandarin, my foreign colleagues and I in Taiwan required our students to use English nicknames in class, such as Evelyn, Kevin, Howard, Chris, Debbie, Lydie, Carol, and so forth. Our Taiwanese students complied because we were the teachers of English and we had power in our hands. It was ironic that illiterates could dictate the rules. Unhei’s schoolmates, classmates, and teacher are also illiterate not only in the Korean language but more so in the Korean culture. Initially, it seems that the ‘illiterates’ in Unhei’s American school will be dictating on her the use of an American name, in nonchalant disregard of her identity. When the children on the school bus make fun of her Korean name, Unhei feels confused and scared. She feels belittled and rejected. And she is ready to use an American name if only to fit in. Refusing to give her Korean name again and be humiliated again, she tells her teacher and classmates that she is still choosing an American name. And so her classmates give her a name jar in which they throw in scraps of paper with American names scribbled on them. Fortunately, Unhei finds a sympathetic friend. It is Joey, a new classmate. He is interested in Unhei as a person. Her being different makes her unique in his eyes. While Unhei is showing her name stamp to Joey, she realizes that her Korean name is a beautiful name. Too young to understand the concept of identity, all she knows is that her grandmother back in Korea loves her and she wants to always remember her grandma by using her Korean name in her new American school. Besides, Unhei’s new friend, Joey, has already given her name the stamp of approval and acceptance. Gorgy, the fourth little pig with the gorgeous smile, comes from a family of carpenters in the Philippines. While his three brothers are able to build their own houses, Gorgy is not because there is no more piece of land for him in their overcrowded pig farm. So Gorgy leaves home and family in search of a piece of land in other pig farms. He travels from one pig farm to another in vain. The prosperous pig farms where he works as a migrant carpenter welcome him and pay him well. But they value only his economic worth. They do not allow a skilled laborer to build his own house and settle in their pig farms. Gorgy endures rejection and loneliness, masked by his gorgeous smile. He continues working and saving; he clings on to his dream of building his own house. One day, Gorgy meets Josephine in another pig farm. A struggling differently-abled piano teacher, she uses crutches and wears special braces on her hind legs. She lives in a run-down cottage on a small piece of land which she has inherited from her parents’ parents. Gorgy senses that Josephine needs money and offers to buy her piece of land. But Josephine refuses to sell it. Finally, they strike a win-win agreement: Gorgy will build a duplex for Josephine and himself; Josephine won’t charge Gorgy any rent. Isn’t this a case of the marginalized helping the marginalized? Josephine, a differently-abled woman, is marginalized too in her own society. But because she has inherited a cottage and a small piece of land, she is not totally helpless. Gorgy, the homeless and wandering migrant pig is not totally helpless, either, because of his marketable labor skill. Unhei finds acceptance and friendship through Joey. So does Gorgy through Josephine. It is through another child or pig that an outsider becomes an insider (Gates, 1991). Asian literature is called multicultural literature in the Western world. It is a euphemism for minority literature. 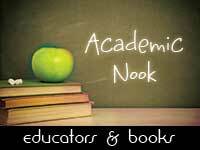 One chapter is usually reserved for it in various syllabi and in course books in the West. Thanks to the recently-concluded Asian Festival of Children’s Content in Singapore, Asian lit has become mainstream lit in Asia. An Indian child, a Korean girl, and a migrant Filipino pig carpenter all belong to Asia. Despite the pain and anguish caused by the immigrant experience, there is hope for harmony in diversity through friendship and love which erases boundaries and margins, affirms identities and celebrates differences, and offers citizenship and a permanent home to migrant workers. 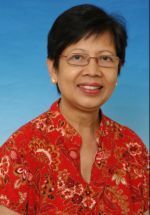 Dr. Carmelita C. Ballesteros <carmelita (dot) nie (at) gmail (dot) com> was an immigrant herself, having been an OFW (overseas Filipino worker) who taught at Da-Yeh University, Taiwan; SEAMEO-RELC, Singapore; and at the National Institute of Education (NIE) of Nanyang Technological University, Singapore. After almost 11 years as an OFW, she went back home to the Philippines on December 19, 2010. 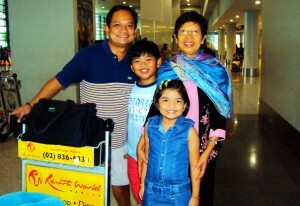 She taught at De La Salle University-Manila in 2011. Today, she is the Director of her own company — the Blessed Teresa Language and Education Consultancy Services. Thank you for all three examples of the immigrant’s experience. I have not experienced this myself, having few opportunities to work in another country. I’ve only traveled to different places. But through a niece’s eyes who was adopted from Korea, I have heard her stories, and through student eyes, theirs too. I’ve used The Name Jar in my teaching, giving some honor to student names as they research their own & share about their discoveries. It’s an empowerment that helps to begin a school year, to make community. I will keep a copy of the poem & look for your book. Thanks again. Where are you from? I’m e-mailing from the Philippines right now. Thank you for you wonderful comment. I’m glad to know that you have used the Name Jar in your class. 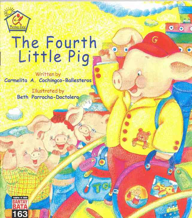 The Fourth Little Pig, my version, is not available in other countries, except the Philippines. Right now, Eton City, a real estate company, is exhibiting giant replicas of the pages of The Fourth Little Pig to attract children, and their parents of course, to its outdoor, close-to-nature, marketing campaign. I was there yesterday, July 8, for a read-aloud with some children. To my amazement, the marketing manager said families come, let their children run around in the outdoor exhibit with the giant pages, then BUY a house and lot. Eton has bought copies of my book and gives them away to children. If you and your students live nearby, you can visit the gigantic picture book exhibit for free and enjoy other treats, also for free. The exhibit runs until August 12, 2012.